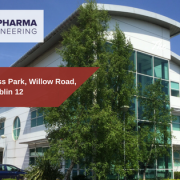 Rapidly growing Irish company BioPharma Engineering believe their commitment to developing and supporting their employee’s careers has played a key part in the company’s success. “BioPharma Engineering know how to keep and retain good staff and that makes for a strong team. 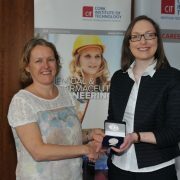 It enables you to feel part of the overall success of the company” says Claire Geary, Project/Process Engineer. Claire has worked with BPE for almost five years and says that it’s the company’s commitment to retaining staff and ongoing training that has helped keep her career moving forward. “For me it’s the autonomy I am given when it comes to the projects I work on, this very much drives me forward. It’s also the support and mentoring I receive from my company Directors. I have had the opportunity to lead and be involved in some of the more diverse and interesting projects happening in the industry. The average number of women working in engineering is 10%, in BPE 24% of the team are women. I like working for a company that values diversity and values its employees. 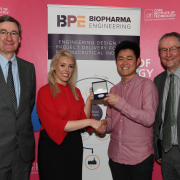 BioPharma Engineering is recognised as a leading Irish Engineering Design and Project Management company for the Pharmaceutical and Life Science sectors. With offices in Cork and Dublin, they design, manage and deliver complex process driven projects for local and globally based clients. A relatively young company, founded in 2006 by directors and owners John O’Reilly and Richard Holohan, the business has kept its entrepreneurial spirit and has built a work culture of ownership and responsibility which are all at the heart of the company’s values. The company is currently expanding and have a number of excellent opportunities in both their Cork and Dublin offices, as well as onsite for some of their key clients and projects. Both management and staff share the same goals, to drive success and deliver results for the client and business. 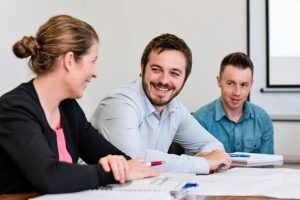 Senior Project Manager, Michael Leonard, describes his role with the company as “challenging and diverse” and says the energy within the company is something he really enjoys. 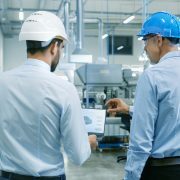 Today BPE have a team of 90+ design engineers delivering world class solutions to an impressive portfolio of multinational and blue chip clients. 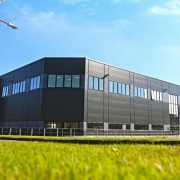 Delivering projects across a broad spectrum of new facility design and build, facility upgrades, capacity expansions and new product introductions. 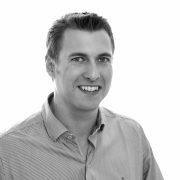 Denis Roche is a graduate Quantity Surveyor who has worked with the company for the last two years. He says joining a company that is on the move has been hugely rewarding. “The senior management within the company are very approachable. It’s fantastic to work with people that share a common ambition. BPE also acknowledge my commitment, I have learned a lot and have been rewarded and recognised for my efforts and for me this makes BPE an enjoyable company to work for,” he adds. As a service provider, BPE recognise that the only way they can grow their business is by growing their team, and that means growing careers and investing in skills and education. The company offers a variety of training options ranging from sponsored MBAs and Honour Degrees, to on-the-job and course-led training. BioPharma Engineering firmly believe in working hard but also maintaining a work-life balance. The company’s core working hours means the office closes at 12:30 on Fridays. Process Engineer, Gavin Toner described how the company has accommodated him. “We recently had our second child and BPE were extremely flexible in allowing me time off beyond my paternity leave. This was invaluable in getting settled in and making the first few weeks of my new son’s life as relaxed and positive as possible. I know that my colleagues have also benefited from the flexibility of the company, particularly those with young families like myself”. Client Support Services Director, Billy Garrett says he recognised from the beginning that the best way to grow a successful business is to focus on hiring and keeping the best. To see current jobs with BioPharma Engineering click here. Article from Irish Independent, 16th May 2017.